by pamlloydsite.In Business to Business, Business to Consumer, Content Creation, Content Marketing, Media Relations, Social. We worked with Monty Bojangles on three projects to promote their very tasty truffles to trade and consumer media. We shared the business story with trade and business media and the consumer story through social and new product pieces. The chocolate confectionery category is a noisy one with competitor brands such as Hotel Chocolat, Charbonnel and Walker, Prestat, Lily O’Brien and big hitters like Lindt and Ferrero all wielding heftier budgets. Monty Bojangles has a cheeky brand on its side fronted by the curious and adventurous Monty.  It was the judicious use of the brand and consistent communication of key messages that meant PamLloyd PR was able to deliver the results for the client. Selected food and lifestyle media contacts enjoyed Monty Bojangles’ curiously moreish truffles at handy intervals. The client featured in national business press. And, after considerable effort on all sides, two new retail listings were forthcoming contributed to by the company’s improved business and product profile.